Yearly, we produce approx. 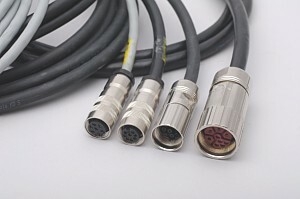 1.000 premium, ready-to-use cable sets following customer requests and manufacturer's specifications. Each cable is tested ohmically on our cable testers before leaving our factory. Optionally, additional high-voltage testing can be preformed. Our manufactured cables have a rejection rate of under 0,01% (value averaged since 2001). Our texts, images, graphics, videos and sounds are subject to the protection of international copyright laws! For trademarks of others, see our copyrights.